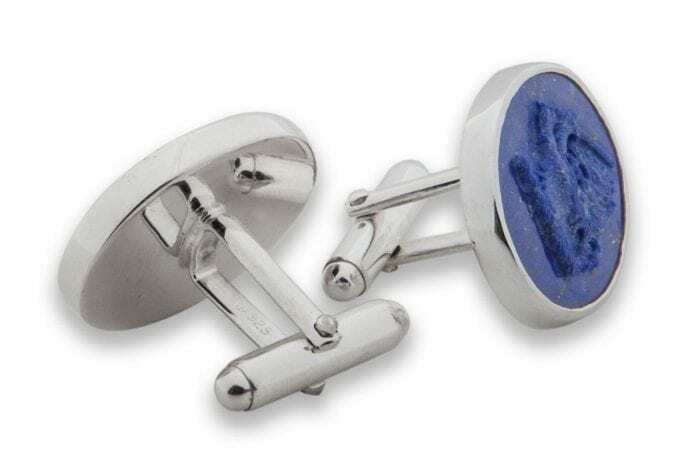 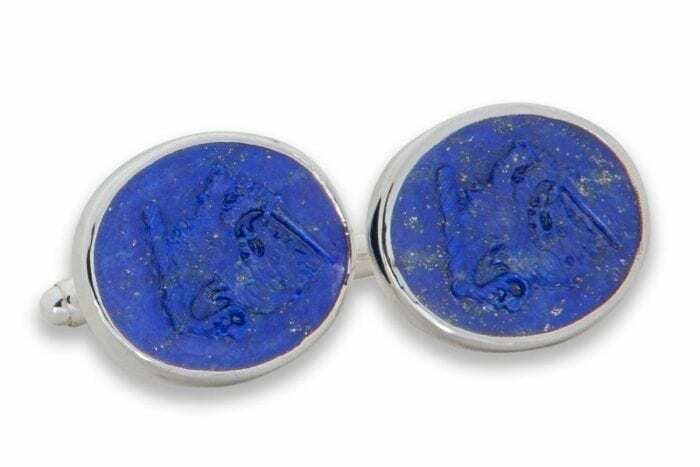 Lapis Cufflinks hand carved sculpted masterpieces of Family Crest Heraldic Lion Rampant of Scotland With Sword – very interesting. 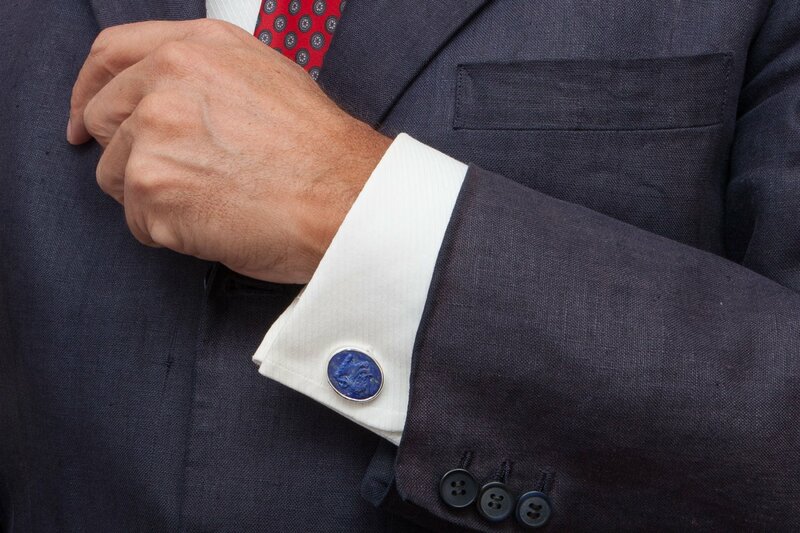 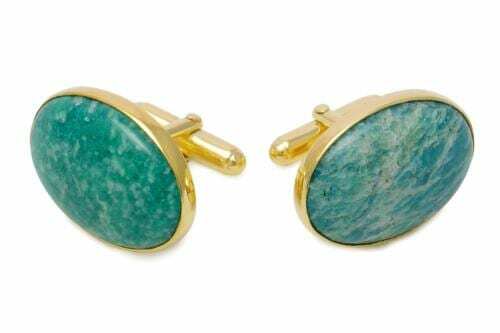 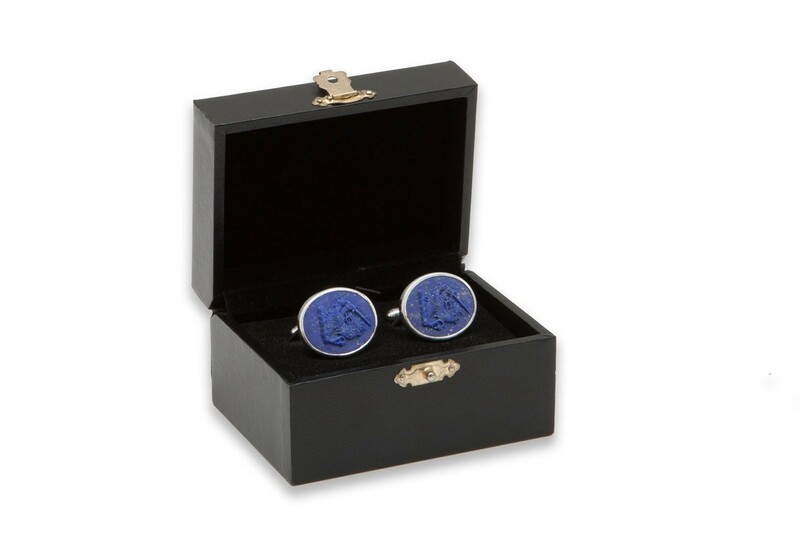 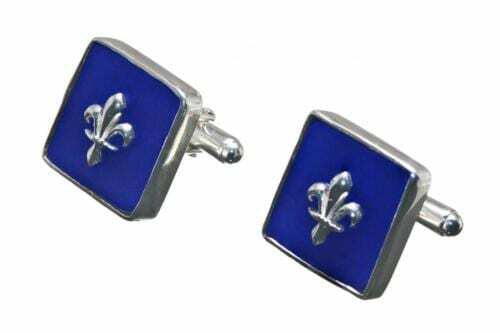 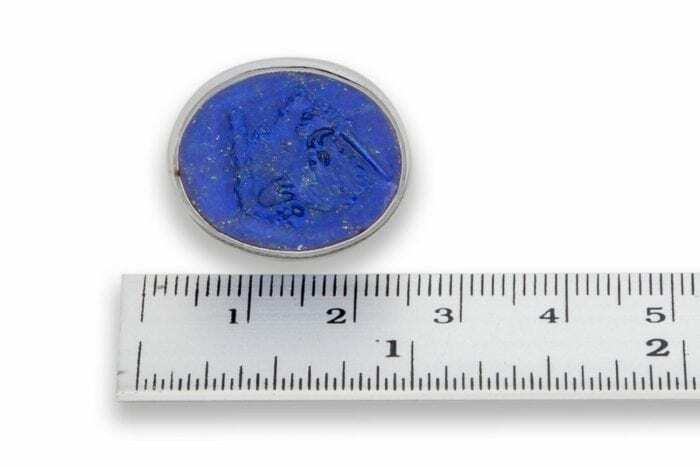 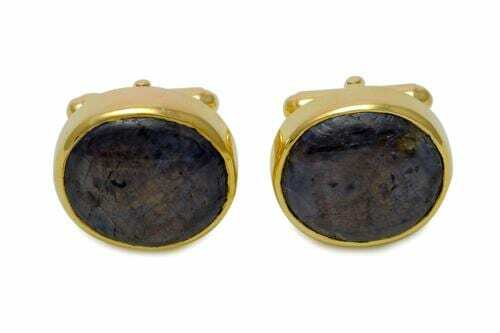 Beautiful genuine rare lapis lazuli cufflinks hand crafted with this traditional Regnas important family crest image. 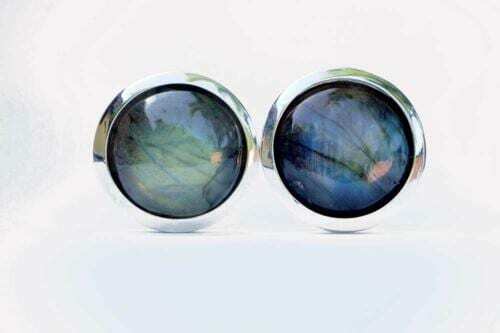 Each hand carved oval measuring 22 x 18 mm (7/8 x 11/16 inch) is set in sterling silver with an easy fit swivel fitment.